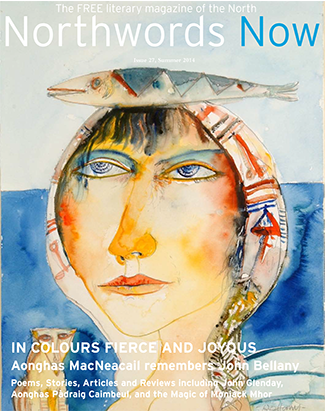 The latest Northwords Now is out now in paper copy or as a free download. Issue 27 features Aonghas MacNeacail, John Glenday, Colin Will, Sally Evans and my friend Kathrine Sowerby, amongst a great line-up of new poetry and fiction from Scottish writers or those with Scottish connections. I have a wee poem tucked in the middle. It also features lots of book reviews and some wise creative writing advice from John Glenday.